Nvidia is usually trumpeting the graphics performance of its Tegra 4 chip, but at the Computex trade show on Tuesday CEO Jen-Hsun Huang showed how its newest processor can be used to create a precise, affordable stylus for tablets. 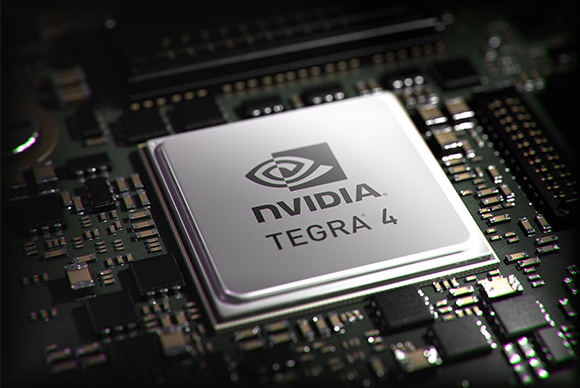 Nvidia is using the image processing technology in the Tegra 4, combined with its DirectTouch display technology, to allow an ordinary mechanical stylus to do work that normally requires a digital one. Huang showed the technology to a small group of reporters at Computex. Working on a small prototype Android tablet, he was able to apply various levels of pressure to create thick or thin lines on the screen—calligraphy, as he called it. Normally he would have to touch menu buttons on the side of the display to change the thickness of the brush. Flipping the stylus over allowed it to be used as an eraser. "We're using image processing technology to reduce the cost of a stylus, from $20 for a digital stylus to zero for a mechanical stylus," he said. The stylus can be made from any capacitive material, Huang said. DirectTouch is important because it improves the responsiveness and resolution of the display, off-loading work normally performed by a specialized touch controller to the Tegra 4. "The precision of DirectTouch is many times higher than your normal touch controller, so the screen resolution is higher," Huang said. "And the sample rate of the screen is much higher. I'm sampling at 300 frames per second." The Tegra 4 takes all that data and processes it to determine where the stylus is making contact and how much pressure is being applied, and renders the lines on the screen. DirectTouch has palm rejection technology that filters out where the hand presses against the screen and other "noise." The stylus is accurate down to about a millimeter, though the accuracy also depends on the skill of the user, Huang said. The ends of the stylus are different widths, allowing the tablet to detect when the user wants to erase rather than draw, for instance. It was a demonstration intended to show off the technology, and Huang didn't say when a product would be on the market. But eventually the lower costs could translate into cheaper prices for tablets sold with styluses—or a bigger profit margin for manufacturers.